Expansion began in 1992 and continued to the current six locations in the District of Columbia and one in Hyattsville, MD. Throughout the years, the focus of Yes! 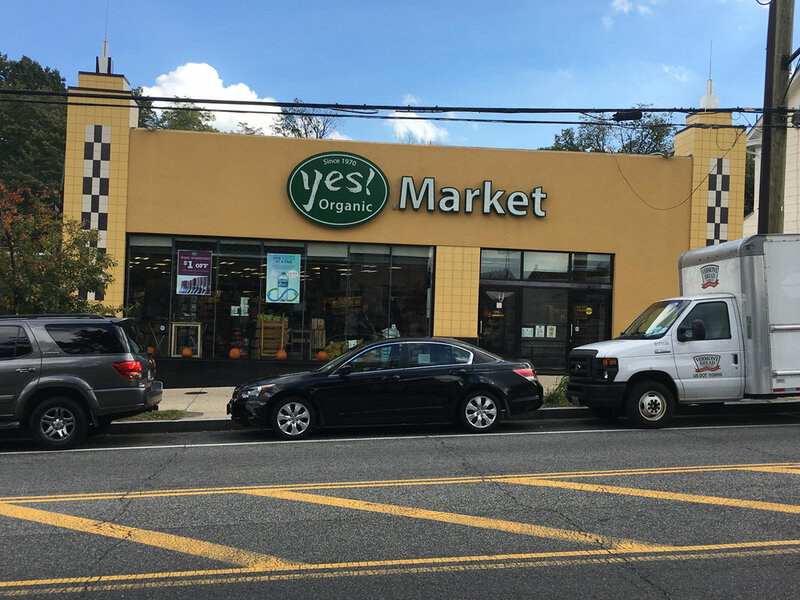 has remained that of a neighborhood market, with each location responsive to the needs of the community it serves through customer service, special product requests, charitable contributions and community support. We remain a locally owned, family-operated company, and are proud to serve Washington, DC. Click here to see our sales ad! 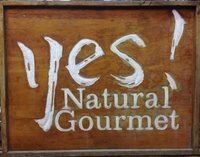 What's happening at Yes! Market? Yes! has always cared for the environment. First we offered a 5-cent discount for bringing your own bags before it was DC law, and now we're expanding our efforts to green-energy. 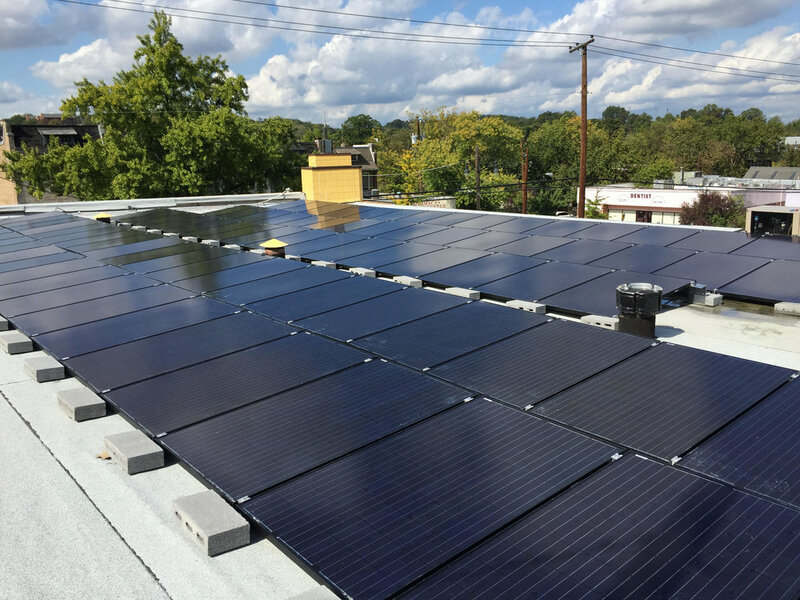 We installed solar panels at our location in Brookland, and will be installing them on all stores possible in the near future. We are now running on green energy at the Brookland store! Come and shop, knowing that your consumer dollar is supporting the environment, as well as the local economy. Solar power systems derive clean, pure energy from the sun. Installing solar panels helps combat greenhouse gas emissions and reduces our dependence on fossil fuel. Traditional electricity is sourced from fossil fuels such as coal and natural gas. Want to Join the Flock? We're always looking for hard working, enthusiastic candidates with an interest in natural foods. To apply, please complete our online application. You may also download an application and drop it off at any of our locations. Number of years at above address? Can you furnish documentation that you are authorized to work in the United States? Have you applied to Yes! Organic Market before? Have you ever been employed by Yes! Organic Market before? If yes, please provide when, which location, and the name of your supervisor. Please list any relatives or friends employed with Yes! Organic Market in the past 2 years. PLEASE LIST YOUR LAST TWO EMPLOYERS, STARTING WITH THE CURRENT/MOST RECENT. Why do you want to work for Yes! Organic Market? Please list any additional skills, qualifications or information you'd like us to know. We do not review product submissions or donation requests from this form! Yes! Organic Market is always looking for new products, especially if you are a local company! We review potential new products based on their quality and pricing, and take into account our current selection and customer interest. All items should be free of artificial coloring, flavoring, and preservatives. We give preference to items that are local to us, certified organic, and/or are non-GMO certified. Please complete the following form, if we are interested in your product we will contact you to set up a meeting or receive samples. Please be green and do not send unsolicited samples to our stores! Certified Organic, Non-GMO Verified, Fair Trade, etc. local delivery, direct, through a distributor (please name), etc.